How the dough is cooked, such as baked, steamed, deep-fat fried, etc. Described below are some of the common bread shapes. 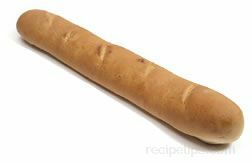 Baguette, which is the French term for "stick" or "little rod," is a long rounded shape that has become a popular name for a number of breads with a similar shape. 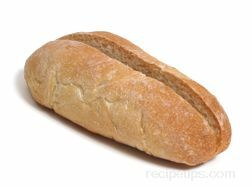 A French baguette can be up to 2 feet in length, 2 to 4 inches in diameter, and weigh 9 ounces or more. 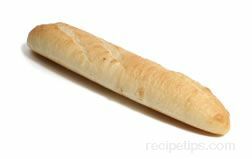 A baton is similar to a baguette except that it is a bit shorter. Ficelle is a French term meaning "string" and is a smaller version of the baguette. The length may be about the same, but the diameter and weight of the bread is usually about half that of a baguette. 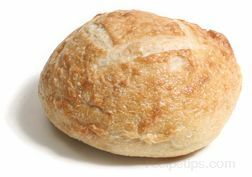 Bloomer refers to a bread shape that is cylindrical, but flat on the bottom with several diagonal slashes across the top. The term most often describes a bread shape popular throughout Britain. Bloomers are made with many types of flour, although various types of wheat flour are the most popular. The Vienna shape describes a rounded loaf that is tapered at the ends. This term describes a bread shape that is named after the famous Pullman railway coach of the United States, because the shape of the bread and the shape of the railway car are similar. 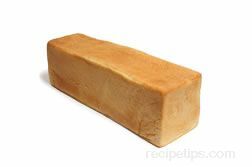 A Pullman loaf is baked in a special pan known as a Pullman pan, which has a sliding lid that covers the dough while baking, trapping the dough inside in order to create the rectangular shape. The pan is available in several sizes, but typical dimensions are 13" x 4" x 4" or 16" x 3½" x 3½". 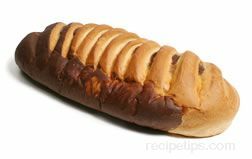 The Pullman loaf is most often sliced and used as a sandwich bread. A molded tin refers to a rectangular bread shape that has the appearance of being split down the length of the loaf. It is created by using two portions of dough that are placed next to each other in the bread pan and when baked, appear to be two very narrow rectangular loaves that are joined together. 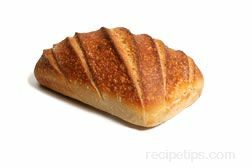 A simpler method of creating the loaf is to use one piece of dough and slash it down the center. A molded twin is similar to a molded tin in that it has the appearance of two loaves baked in the same pan except that it is split along the width of the pan rather than the length. It is actually two portions of dough that are placed next to each other in the bread pan and when baked, appear to be two square loaves that are joined together. 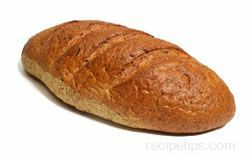 Cob is a term that refers to a large, rounded, plain loaf that can be made with various types of flour. Cob is a term that usually describes rounded loaves in Britain, while boule is a term that describes similar bread shapes in France. 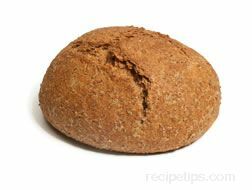 The French word "boule" means ball or round, which is used to describe a large rounded bread that is baked on a flat surface in an oven or hearth. A variety of breads have the boule shape in common, but the term is most often used to describe French breads with that shape. In Britain, the term "cob" is most often used to describe similarly shaped loaves. The term miche may be used to describe breads shaped similar to a boule or it may also be used as a designation for large, rounded rectangular, country style loaves. 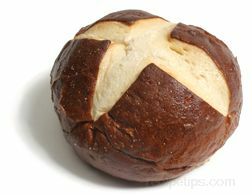 A Coburg is similar to a cob except that it has a cross slashed into the top. A cottage shape is a large, rounded shape similar to a cob or boule, but with a smaller round of dough placed on top. Making a hole through the center of the top round and continuing through the bottom round welds the dough of the two rounds because some of the dough of the top round is pushed into the bottom round. Cottage is a term that is most often used to describe British breads of this shape. 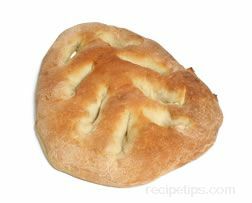 Fougasse refers to a flattened bread shape with elongated holes, which give the bread the appearance of tree limbs. Fougasse is a popular bread in France and is often compared to focaccia bread of Italy. 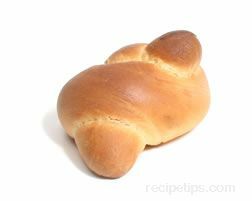 Épi is a French bread shape that resembles an ear of wheat. 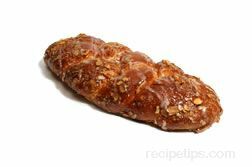 Braided bread is made of strands of dough woven together to form a braided shape. Three to six strands of dough are common for several varieties of braided bread and some may incorporate as many as twelve strands. 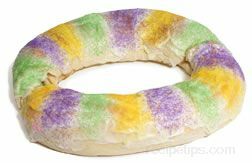 A ring shape can be used for a variety of bread recipes, but is most often used for several types of holiday breads, especially at Christmas and Easter. Bagels are formed as smaller versions of the ring shape. Rolled breads are formed from flattened dough that is rolled in a fashion similar to a jelly roll or Swiss roll. The dough is often covered with other ingredients before it is rolled. The ingredients can be savory or sweet depending on the recipe. 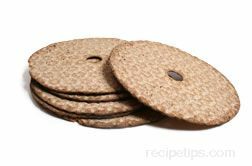 Flat breads come in many shapes, thicknesses, and sizes. Thicker flat breads, such as focaccia are usually leavened while thin, pancake-like flat breads, such as chapatis, are often unleavened. 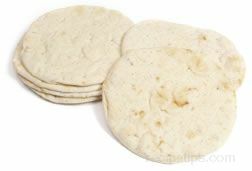 Many flat breads have a rounded shape, while others may have a freeform shape or even a triangular shape, such as parathas. 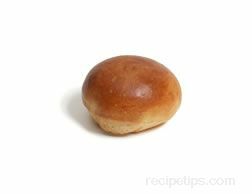 A rounded shape is perhaps the most common shape used for creating a variety of rolls and buns. 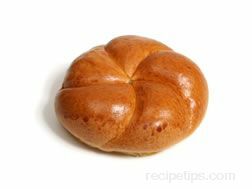 A Kaiser roll refers to a round roll shape that has a 5-petal flower pattern on the top. 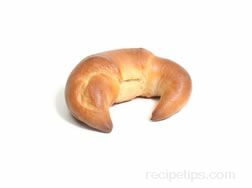 A crescent shape is created by rolling up triangles of flattened dough and then curving the ends into a crescent shape. 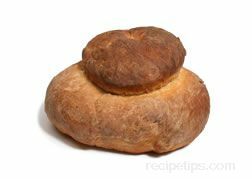 A fan tan is fan-shaped dinner roll that originated in New England. There are various recipes for this unique shape. 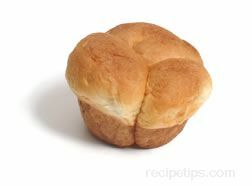 Parker House rolls got their name from the Parker House hotel in Boston where the roll originated. They are basically rectangles of dough that are folded over and depending on how the dough is placed on the baking sheet, often resemble a line of breaking waves when baked. 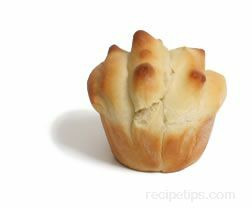 A clover leaf roll is created with 3 balls of dough that join together during baking to create a cloverleaf appearance. A pistolet is the French version of a split roll. 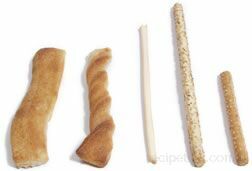 Breadsticks are made in many different lengths and diameters depending on the recipe. 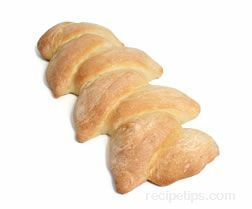 A knotted roll shape is basically a breadstick that is tied into a knot. Instead of baking a rope of dough into a breadstick, it is tied into a knot prior to baking. 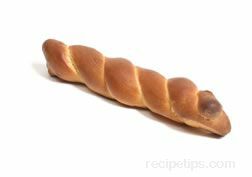 A twisted roll is formed from two ropes of dough twisted together prior to baking.